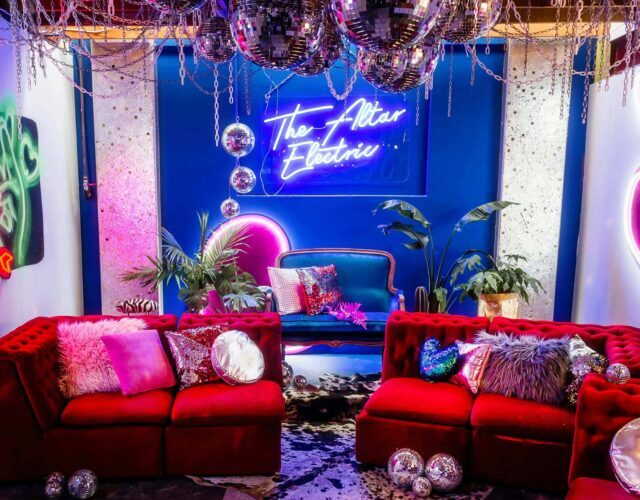 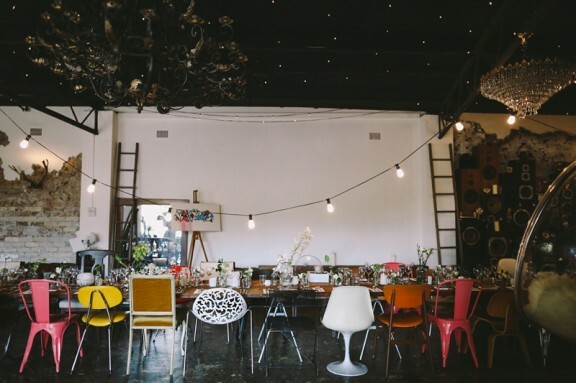 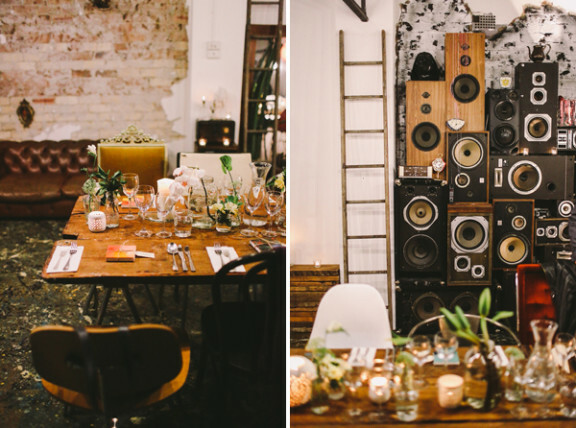 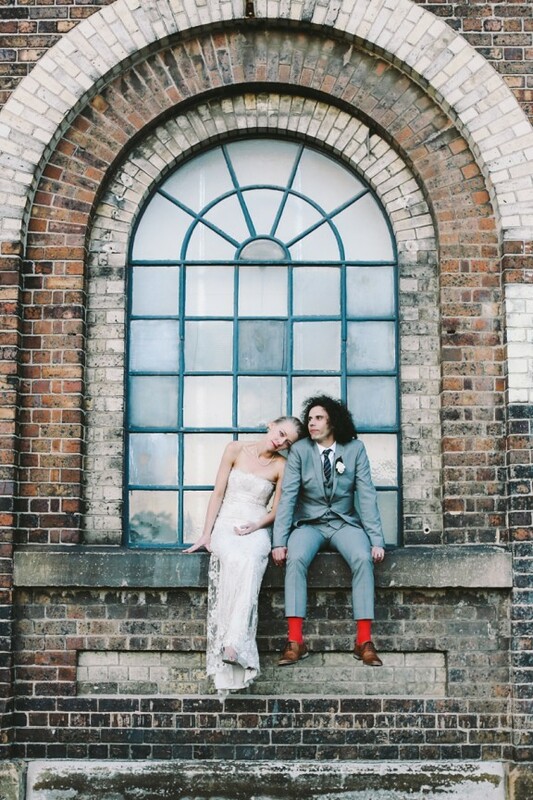 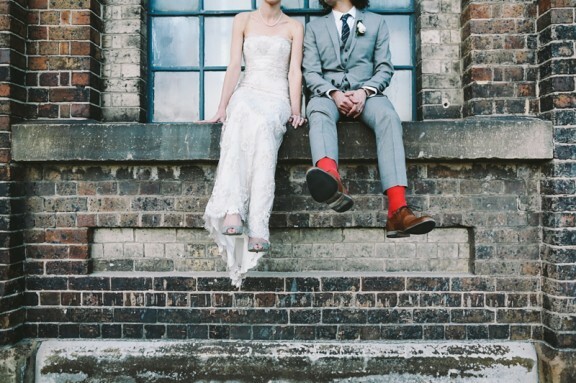 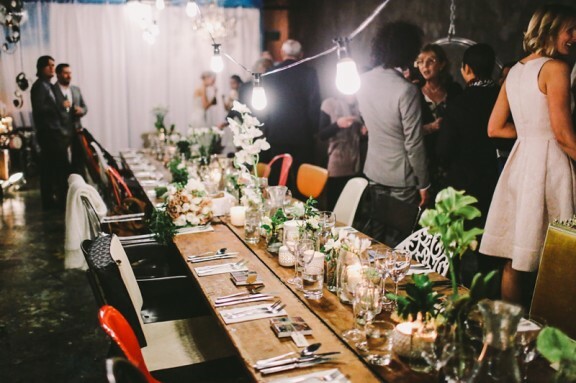 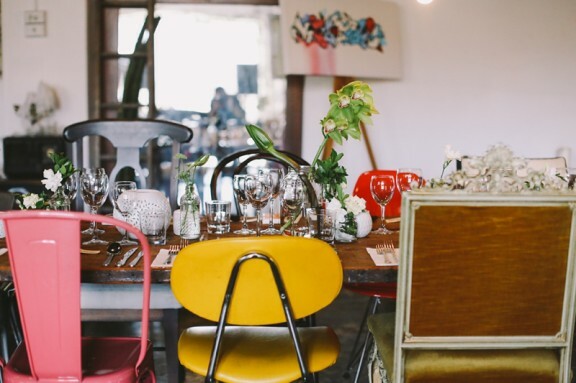 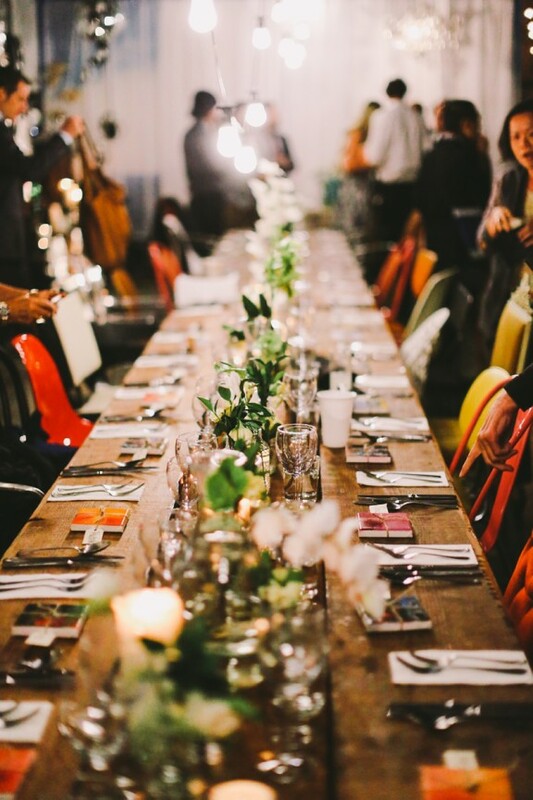 With an eclectic mix of furnishings and features, this warehouse wedding at Studio Neon is as inner-city chic as they come. 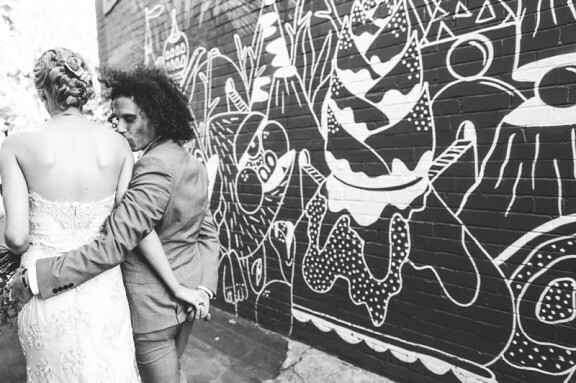 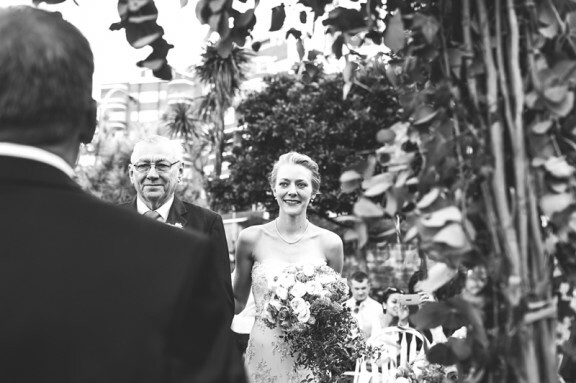 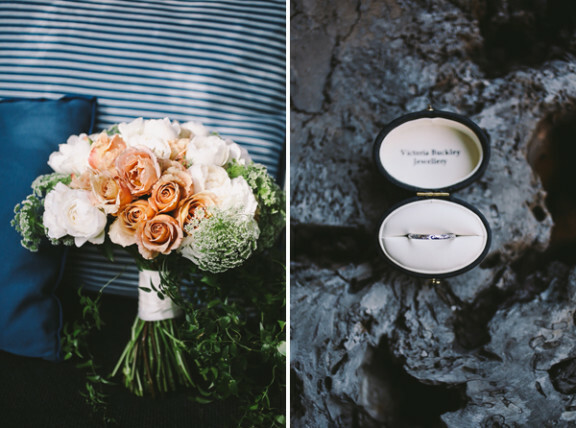 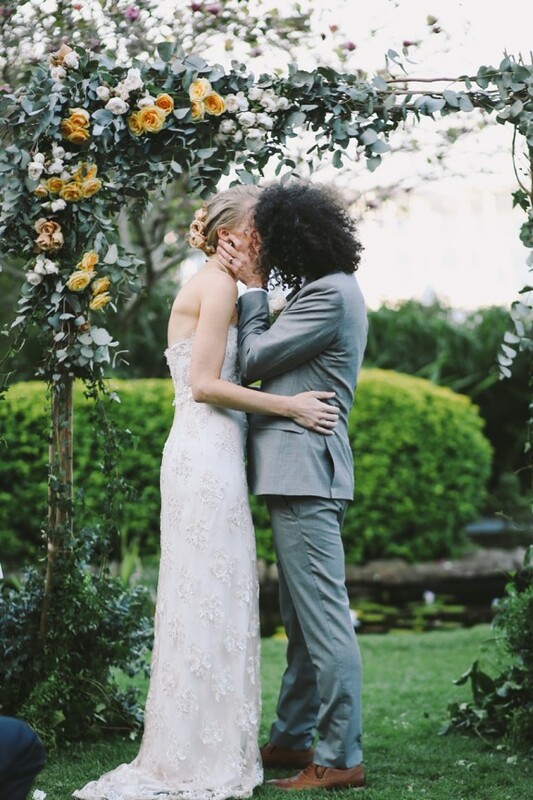 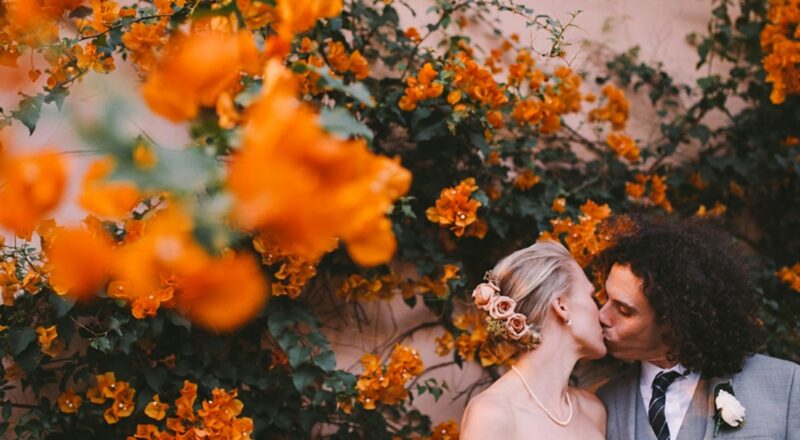 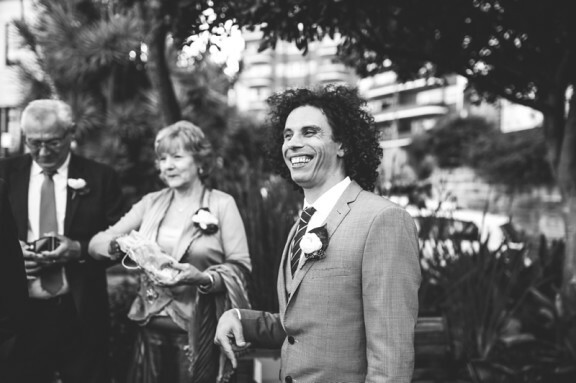 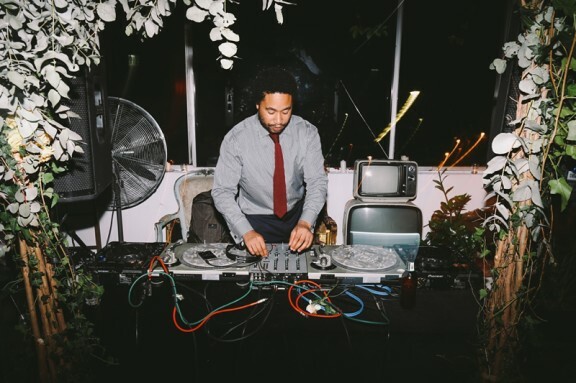 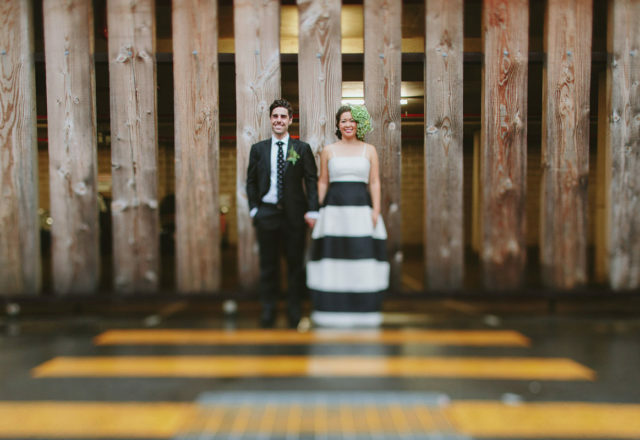 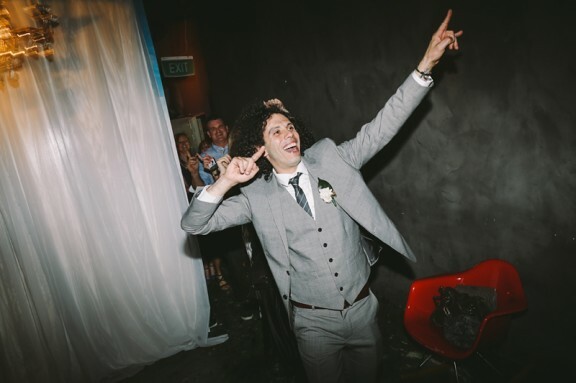 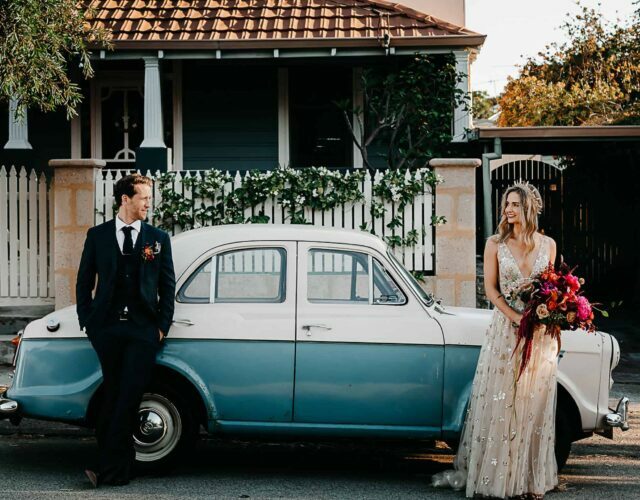 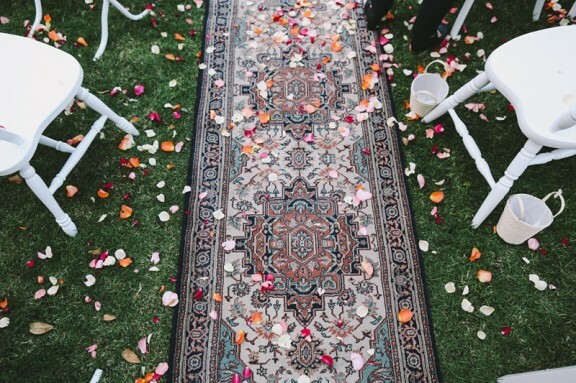 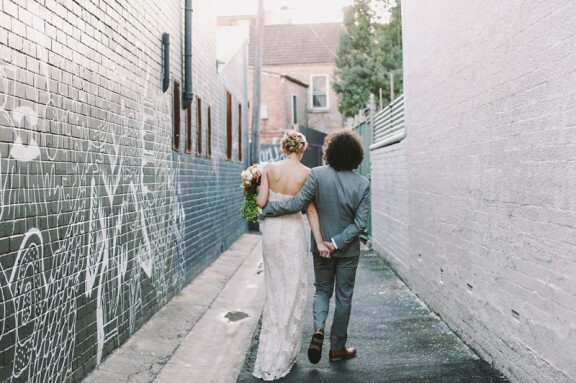 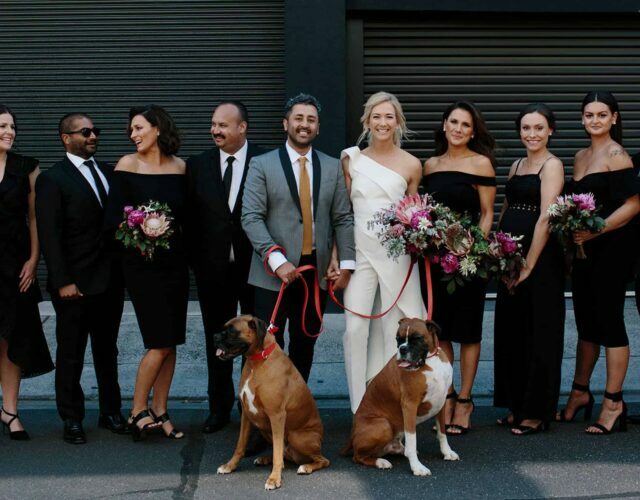 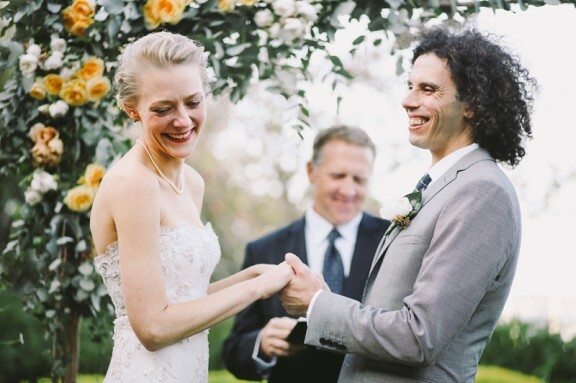 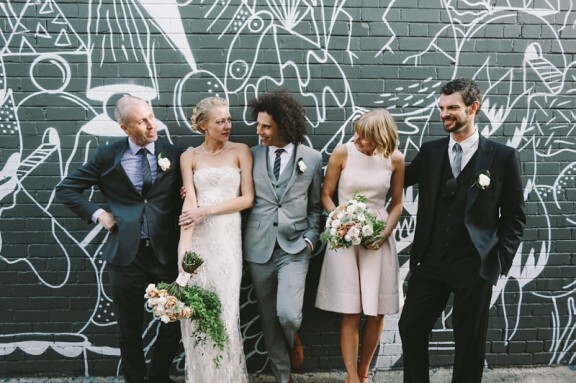 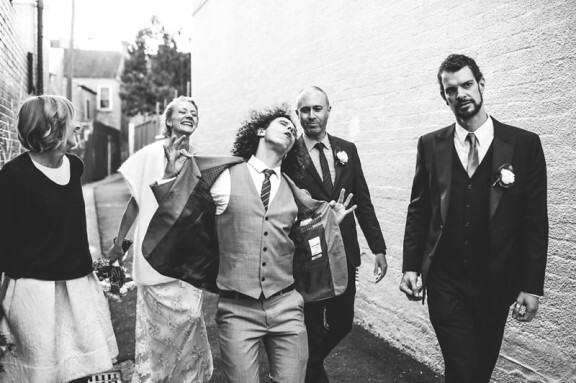 The lovely Lara Hotz captured Kerry and Sacha’s every step – along a Persian runner grassy aisle, through Sydney’s urban backstreets, to a reception that rocked into the night. 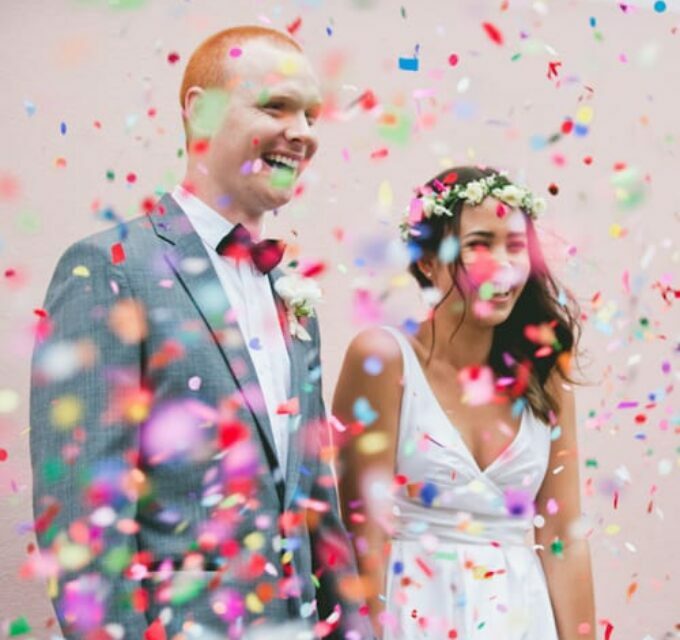 “We really just wanted it to be one big party!” the couple tell me. 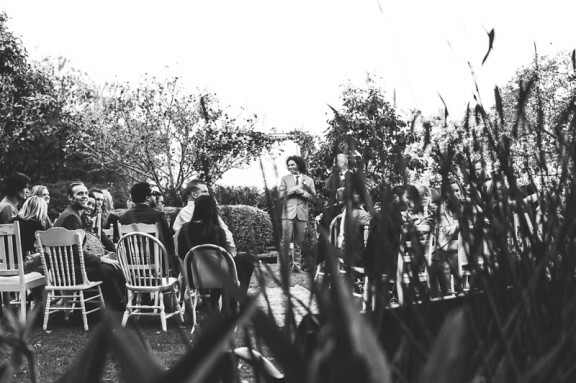 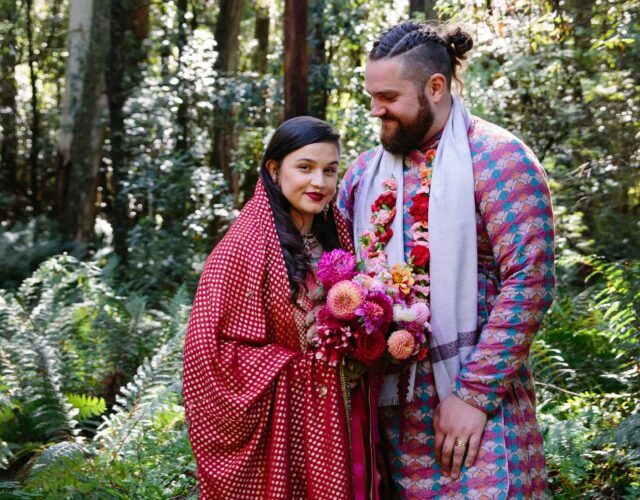 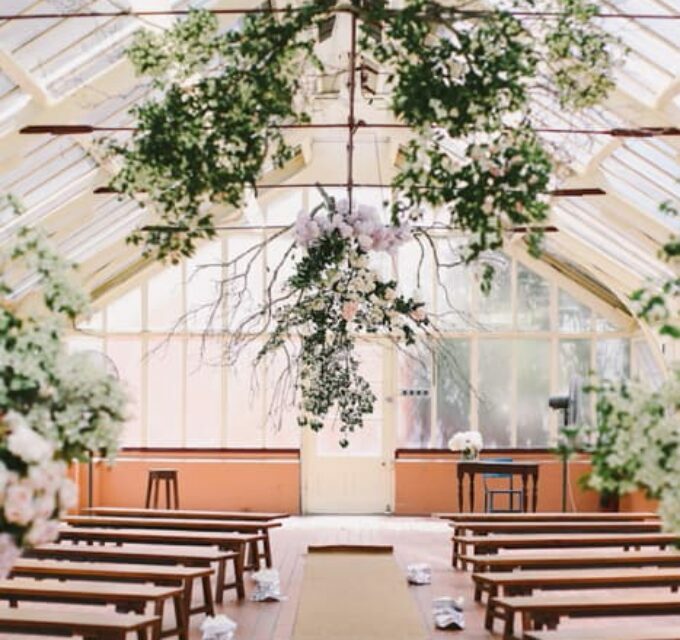 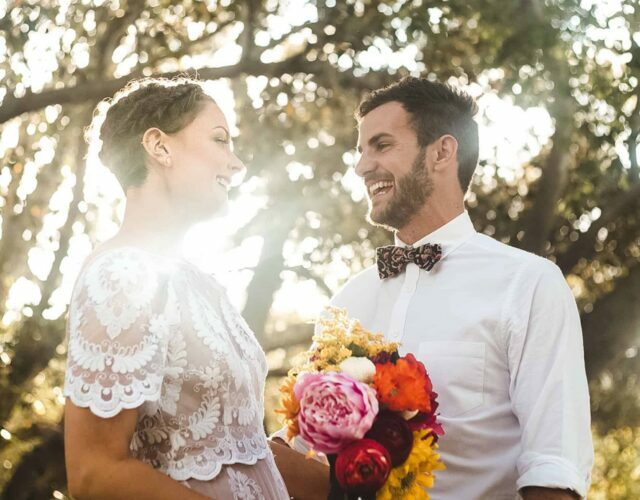 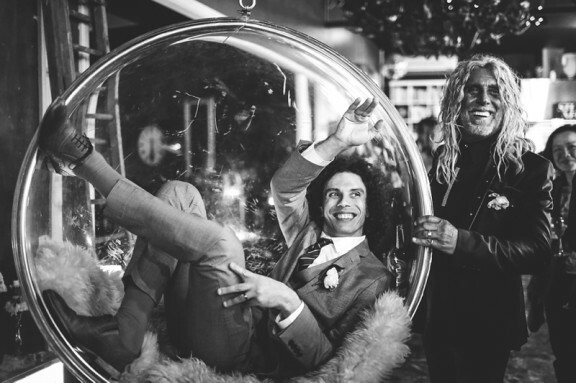 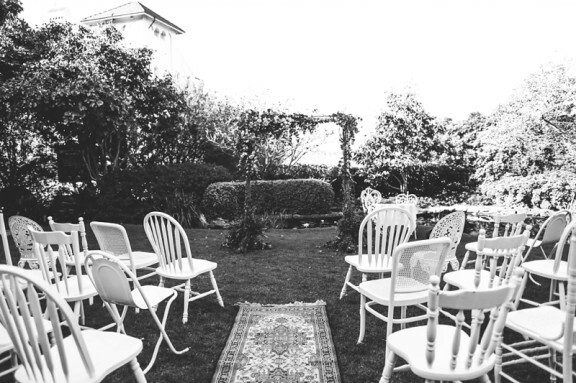 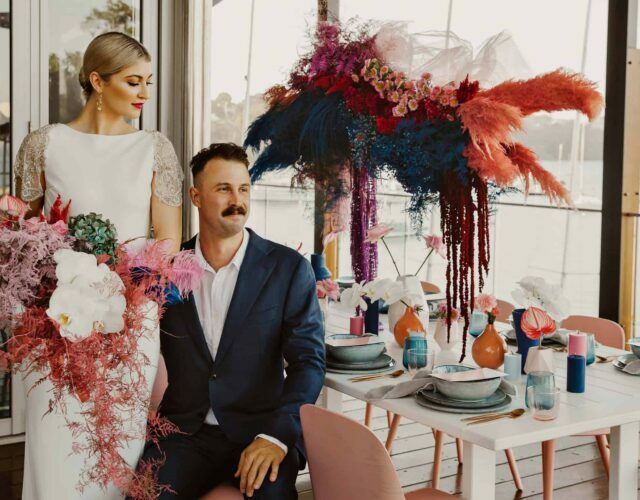 “We wanted it to be intimate, meaningful and fun.” The two used to spend many a Sunday drawing together at Elizabeth Bay’s Arthur McElhone Reserve, so exchanged vows in its gardens under a blooming Poho Flowers archway. 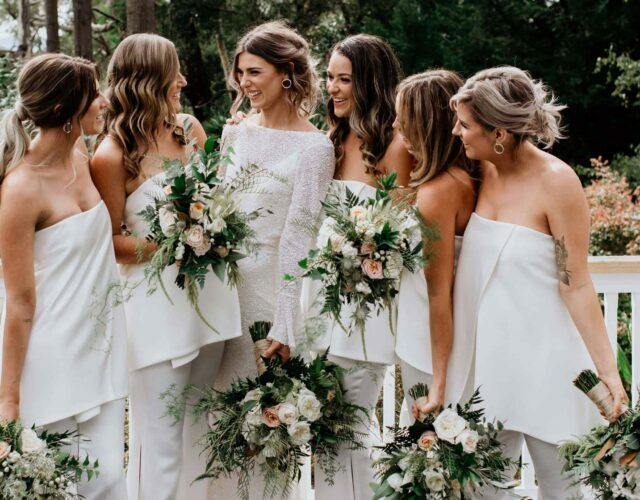 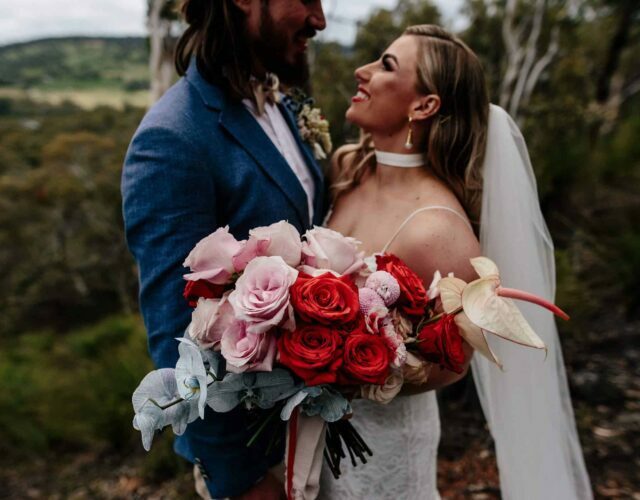 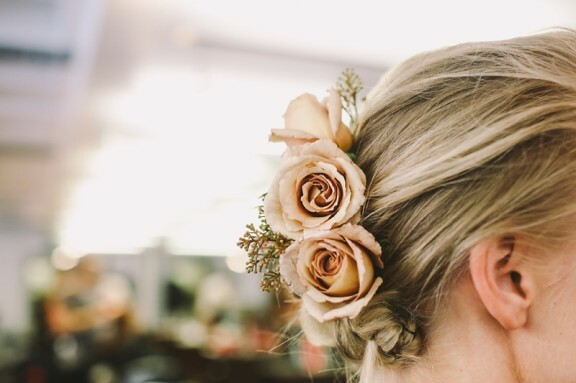 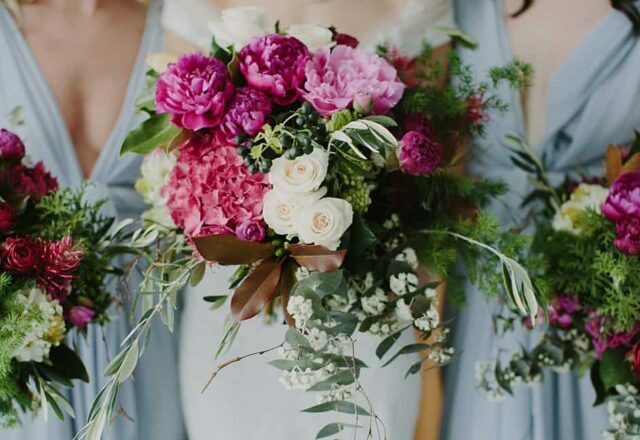 The Poho team was also behind the beautiful bouquets, boutonnieres and sweet roses adorning Kerry’s hair – the bride herself looking ever-so-English-rose in a Collette Dinnigan archival lace dress. 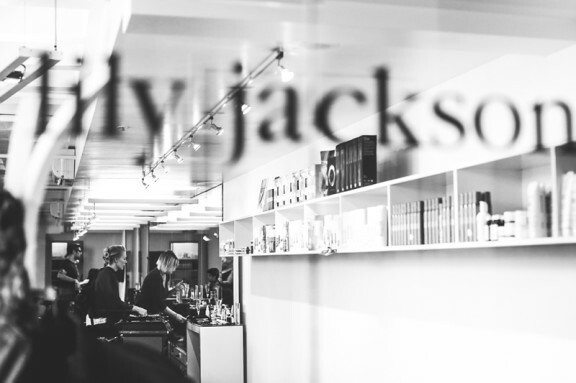 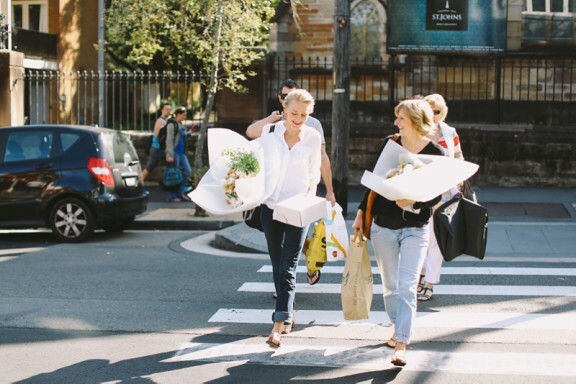 She purchased it in the nick of time, just before the coveted designer’s Woollahra store shut its doors. 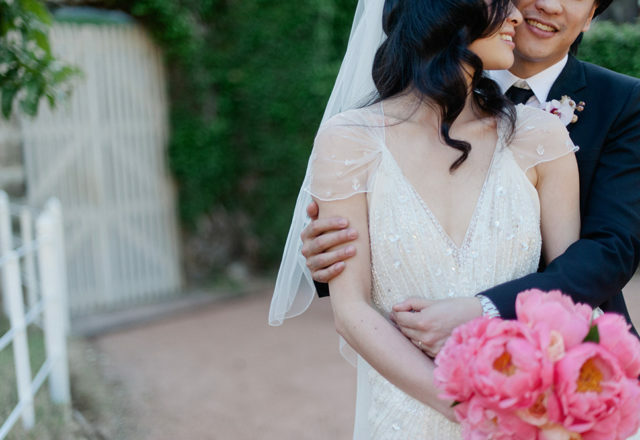 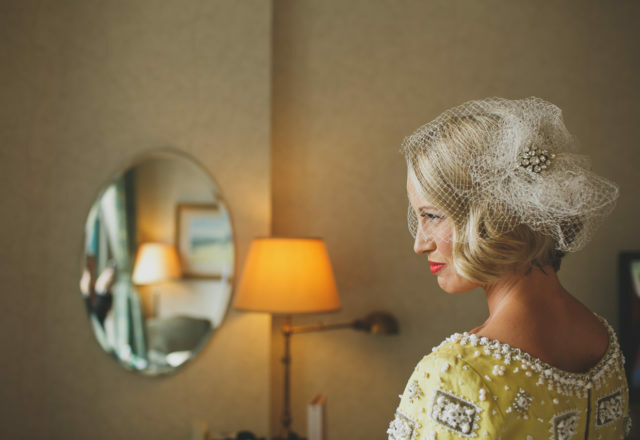 “The lace was so fragile and needed a lot of delicate repair, but it was just so beautiful I couldn’t resist,” Kerry says, and also succumbed to a costume change – slipping into a Carla Zampatti party dress during the reception. 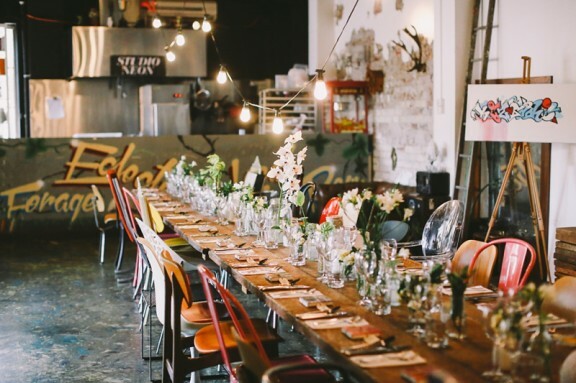 She and Sacha chose Studio Neon’s unique industrial space for its mismatched merging of modern and retro style, and the culinary talents of in-house chefs, Aaron and Richard. 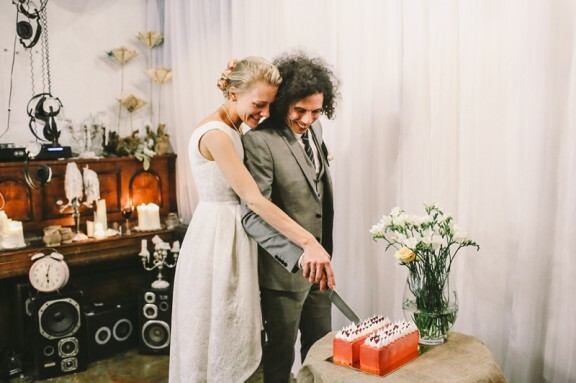 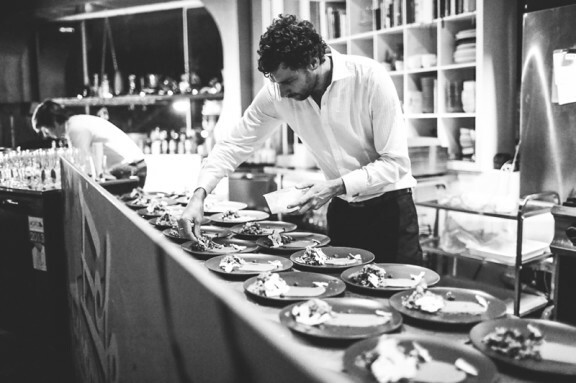 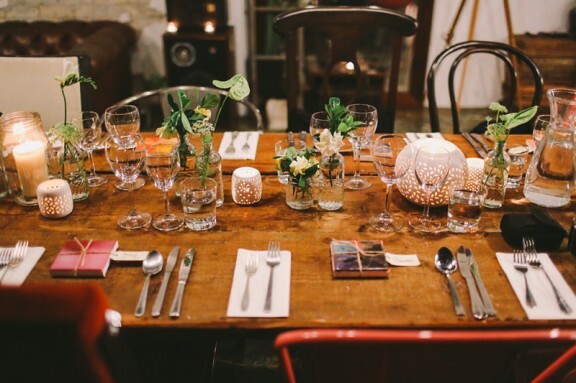 “Our favourite was the porcini, truffle and garlic popcorn,” which they fittingly followed with ice-cream wedding cake – two wild-strawberry ‘Juliettes’ from neighbourhood favourite, Gelato Messina. 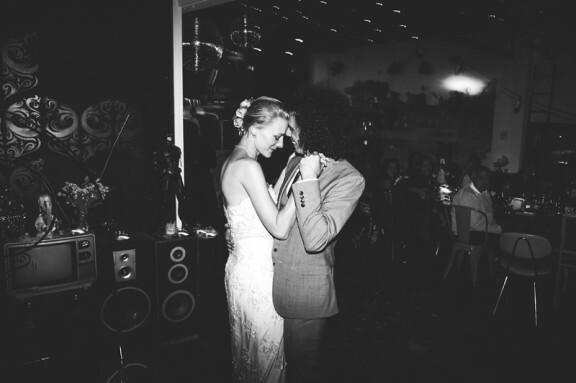 Such a fun and intimate wedding!!! 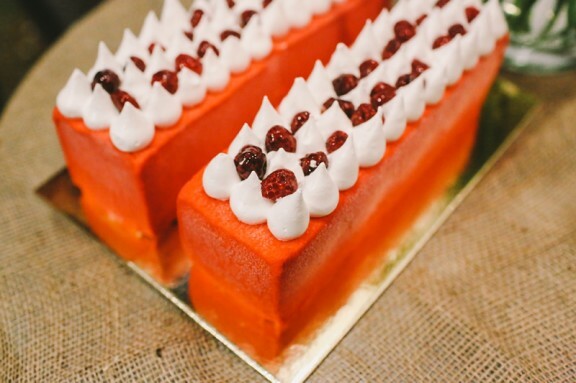 Love that cake!!! 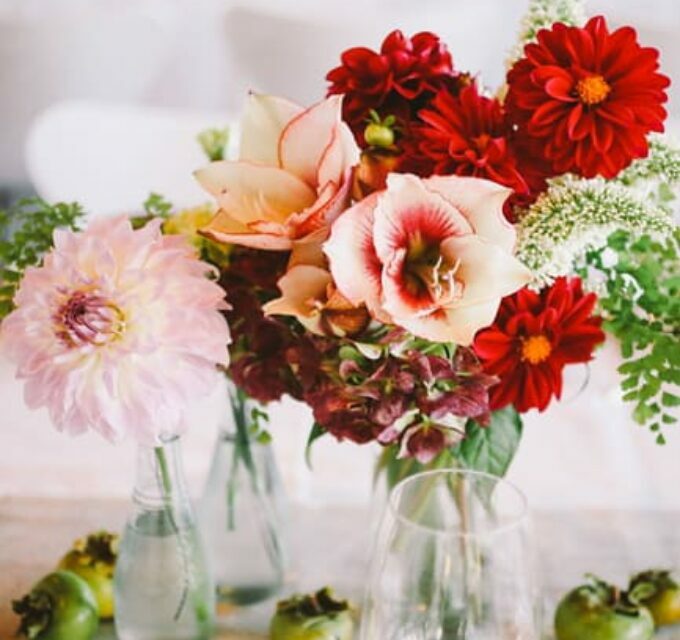 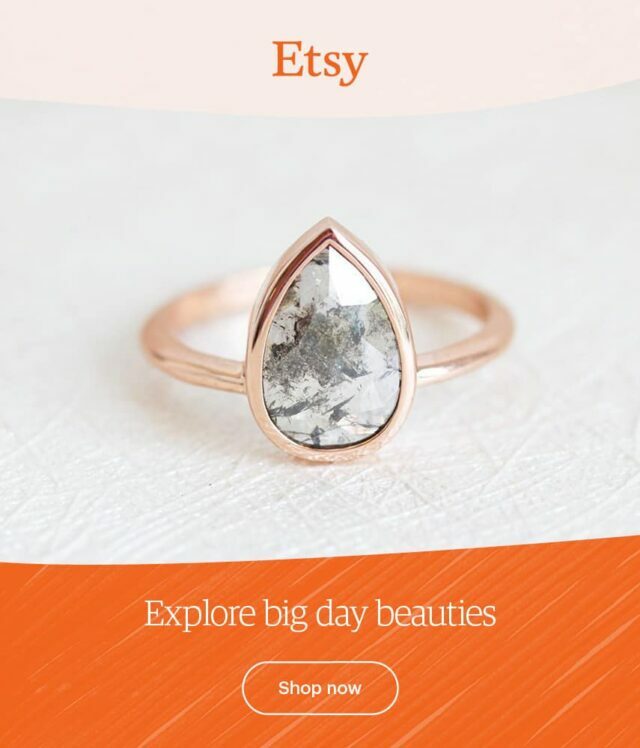 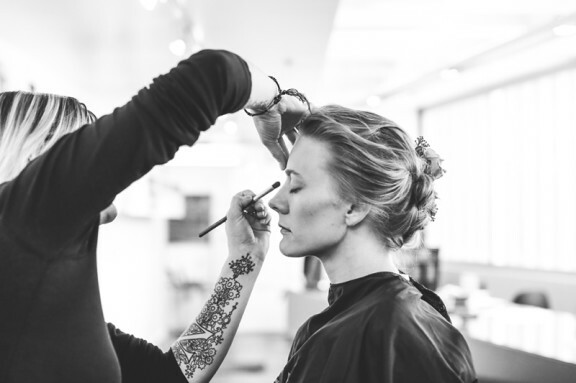 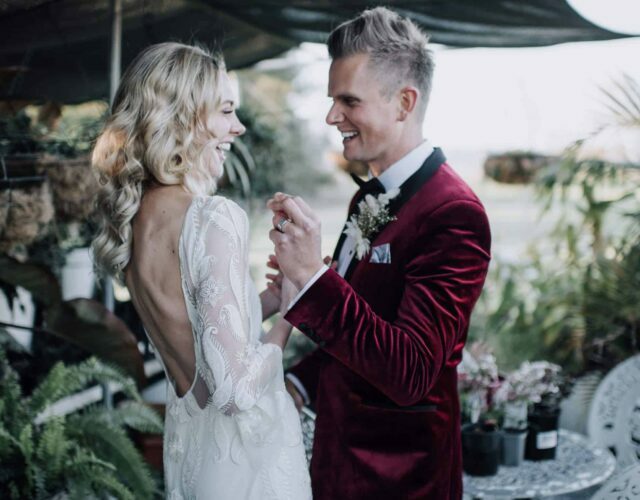 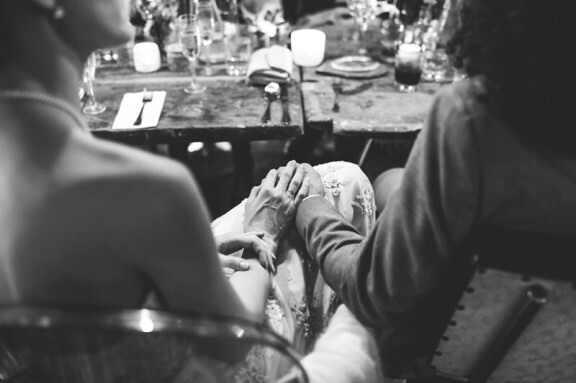 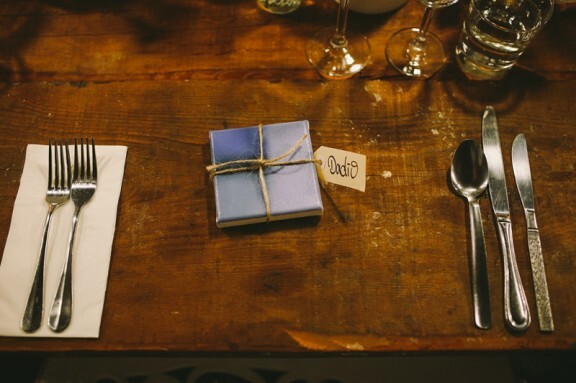 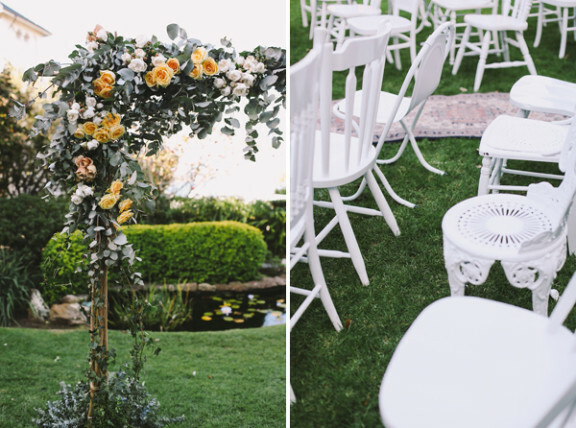 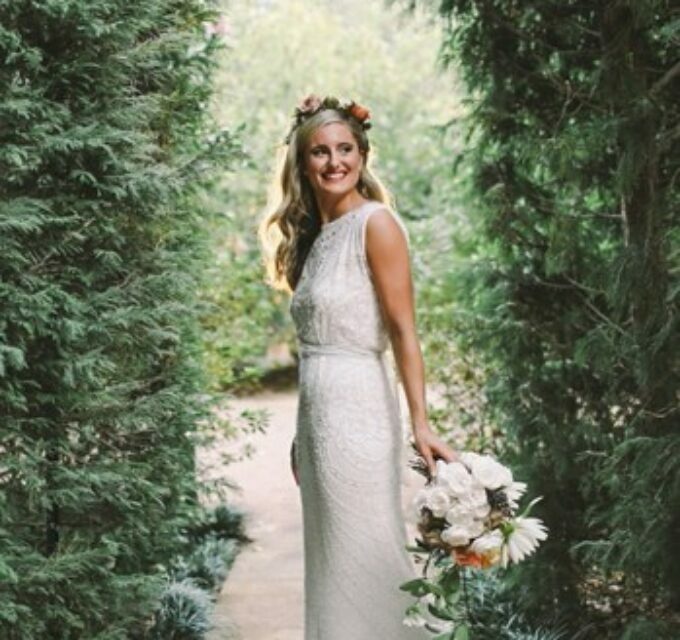 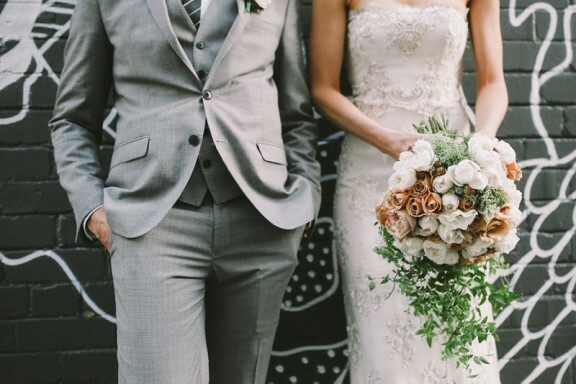 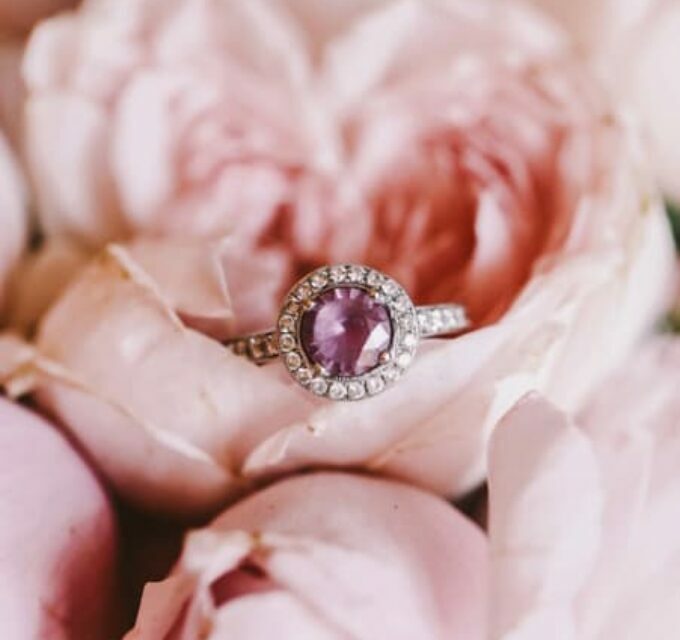 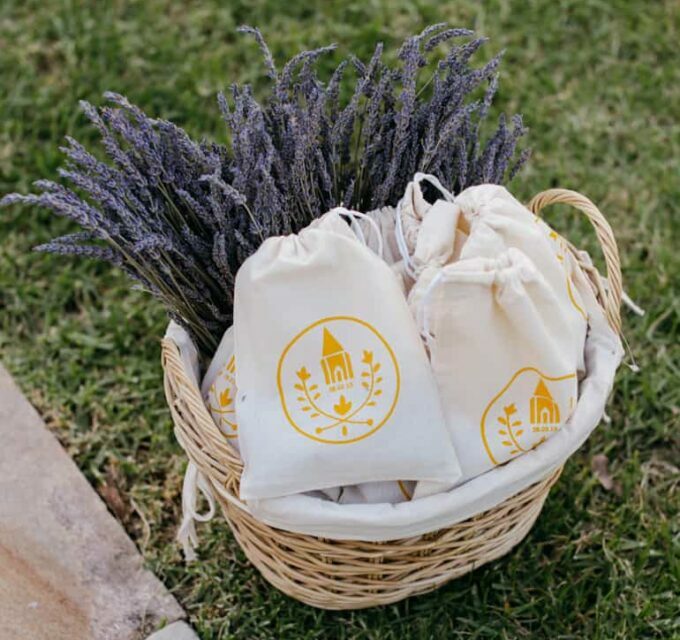 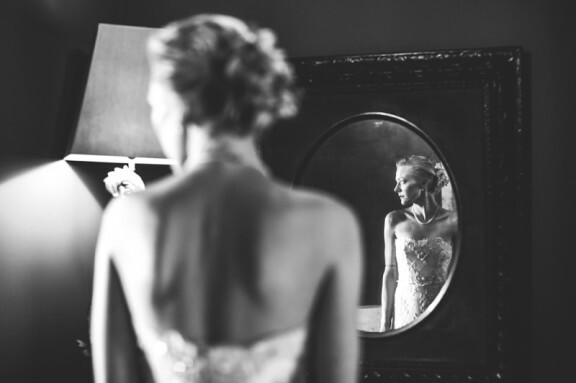 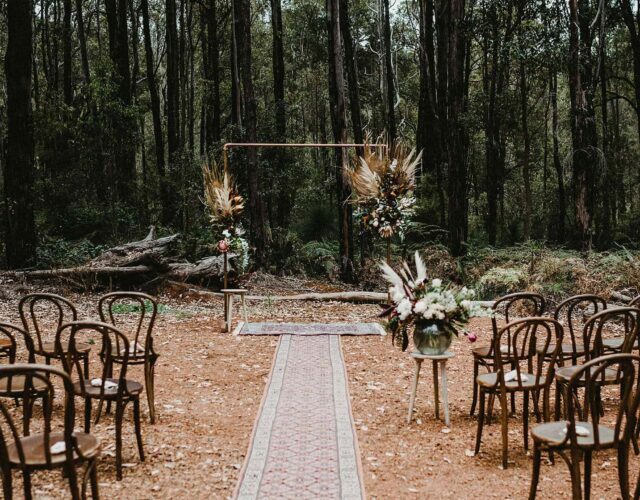 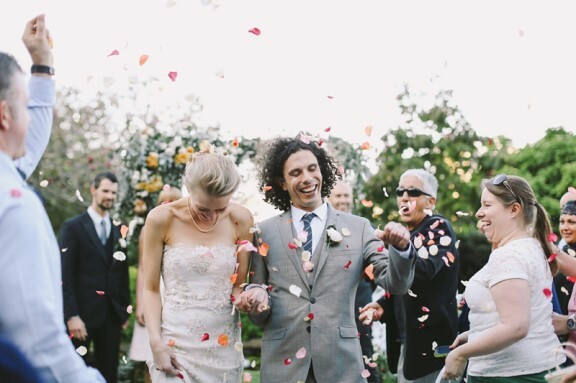 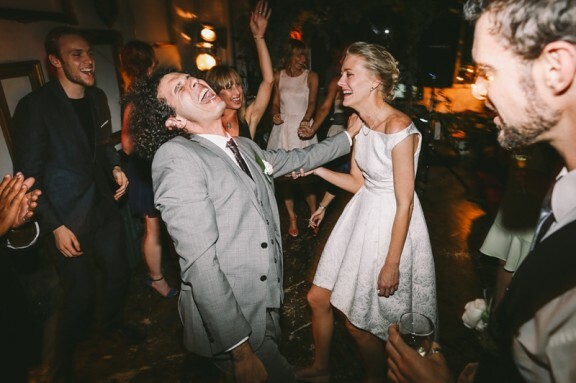 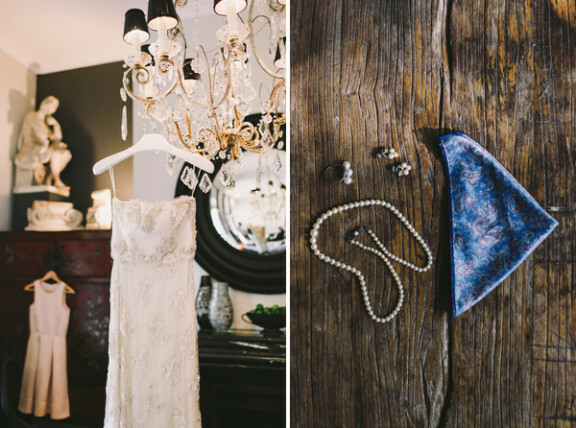 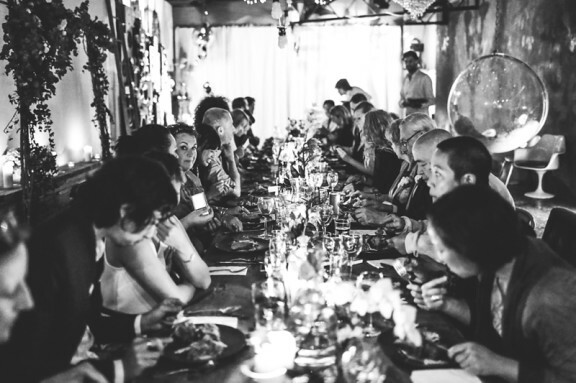 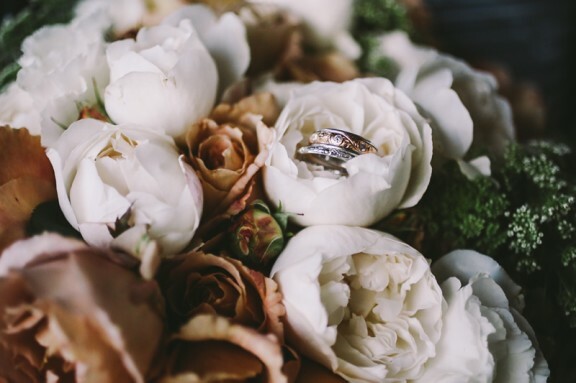 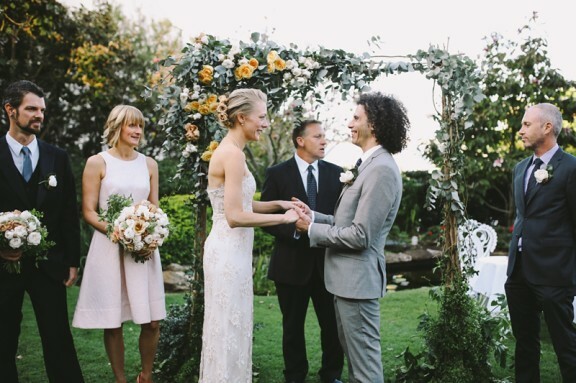 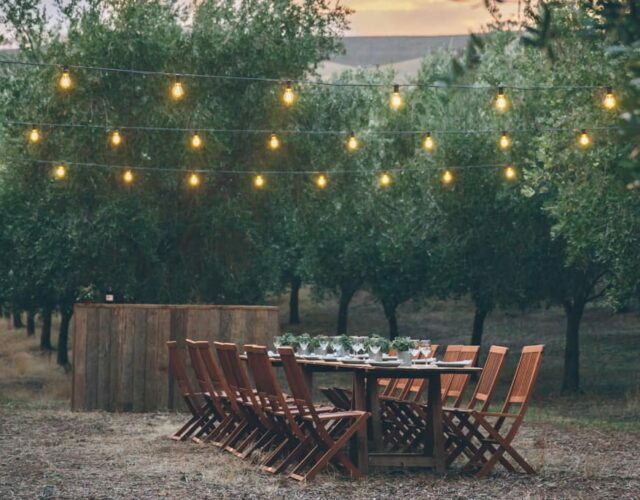 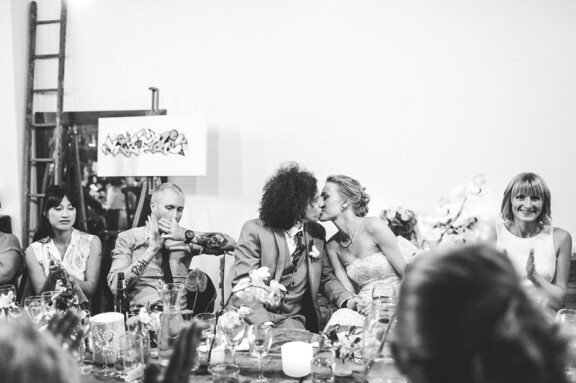 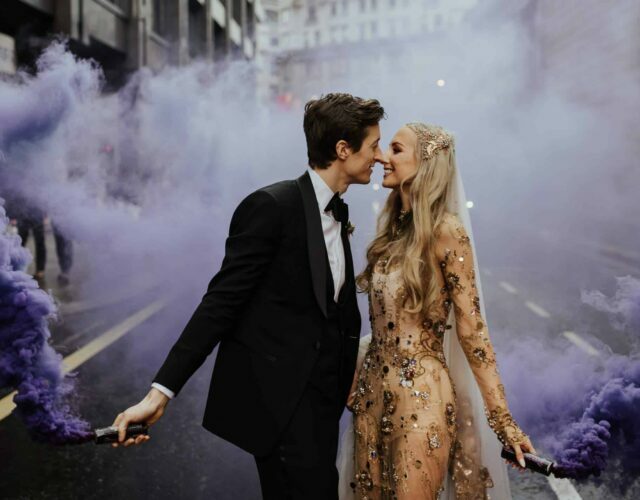 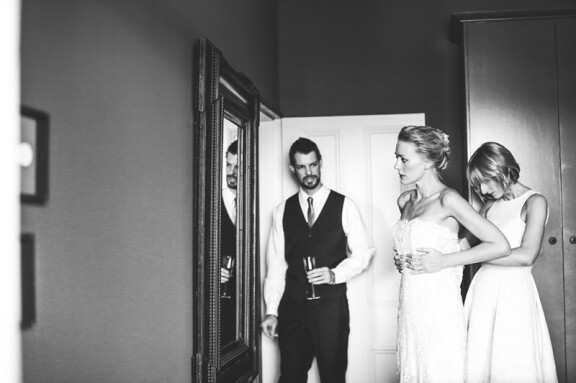 Love this wedding – do you know who styled the ceremony?